Ortus Regni enters Steam Greenlight process! We just put our game into the Steam Greenlight system. Now you can help us make Ortus Regni available on Steam (!) for Windows, Macs, and Linux. 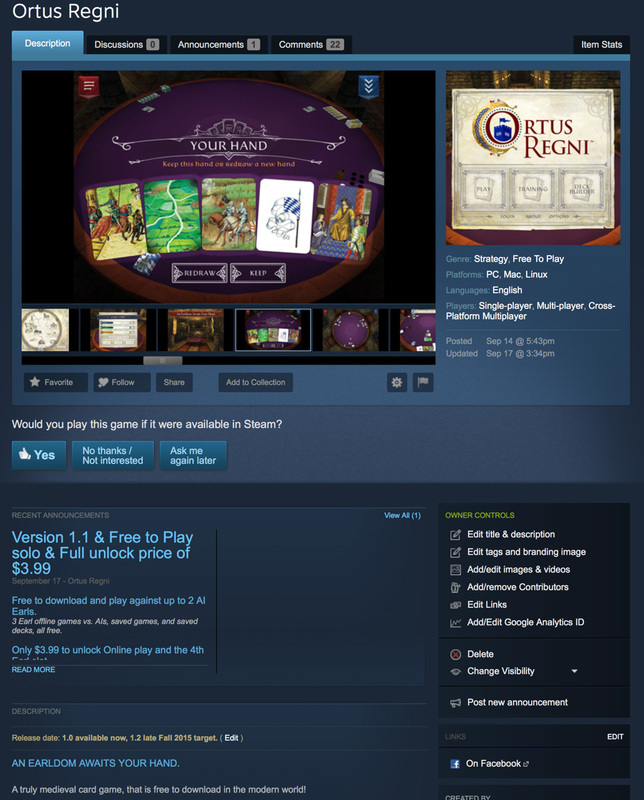 Visit our Steam Greenlight page and vote for us if you want to play Ortus Regni on Steam. Ortus Regni is a new and novel card game inspired by the late Anglo-Saxon period of English history.